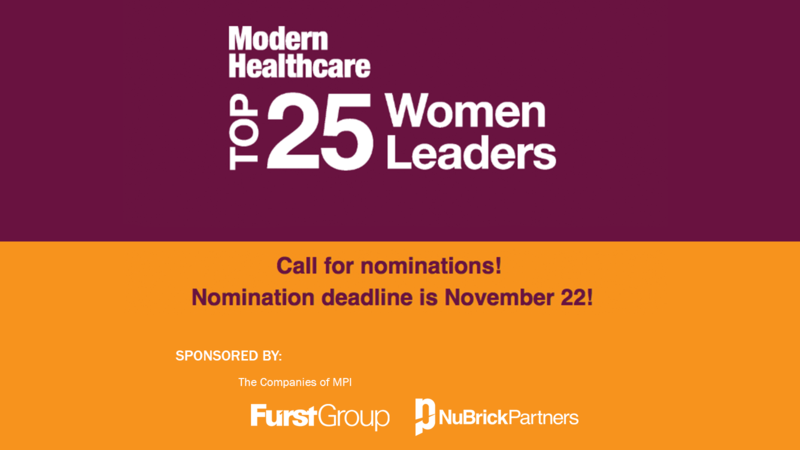 Furst Group and NuBrick Partners are proud to sponsor the Top 25 Women in Healthcare, the awards program created by Modern Healthcare. This is our 11th year of sponsoring the program, which culminates in an awards gala on August 1 in Chicago. Please click here to read our interviews with previous honorees from the Top 25 awards programs. PAULA STEINER, President/CEO, Health Care Service Corp.
JUDY FAULKNER, President/CEO, Epic Systems Corp.
SALLY HURT-DEITCH, Chief nursing officer, Tenet Healthcare Corp.
As longtime sponsors of the Top 25 Women in Healthcare leadership awards curated by Modern Healthcare, we have seen the momentum and the drumbeat growing for this type of sea change. While challenges certainly remain – the number of women who are employed as CEOs of the companies in the S&P 500 is declining instead of increasing – we remain optimistic that transformation is in the offing. While male leaders get the nod in people’s perceptions that they are better at negotiating profitable deals and taking risks, the value placed on female leaders does not end there. Asked specifically about gender and political leadership, for example, the Pew survey results reveal that women are perceived as stronger in standing up for what they believe in, being honest and ethical, working out compromises, and being compassionate and empathetic.1 Who wouldn’t want to work for leaders like that? Diversity matters. You matter. And your opinion counts. As you may know, we are longtime sponsors of the Top 25 Women in Healthcare awards for Modern Healthcare. We’re going into our 11th year, actually. The awards celebrate the best leaders in healthcare, and we think they feel especially important and pertinent this year. 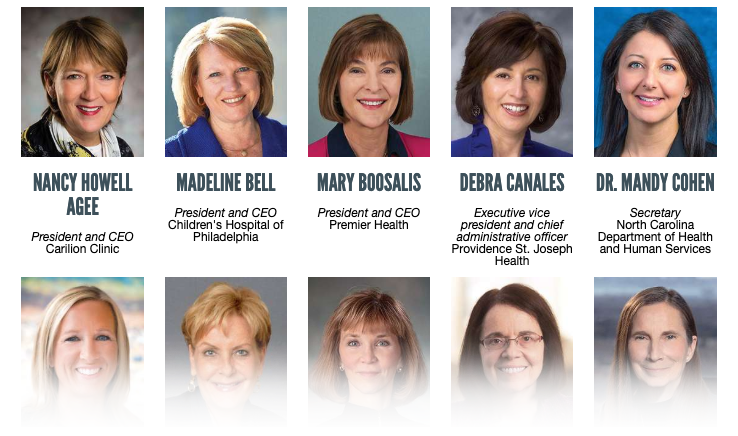 Nominations are now open for the 2019 Top 25 Women in Healthcare awards, which will be presented at a gala in Chicago next summer in conjunction with the Women Leaders in Healthcare conference, another event we sponsor for Modern Healthcare. We’d encourage you and your team to think about a woman leader who merits consideration for this award. Maybe that’s a supervisor, or a colleague, or a friend. 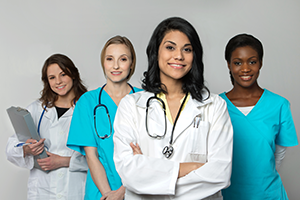 If so, nominate them to be one of the Top 25 Women in Healthcare. Or, maybe that’s you. Consider asking your supervisor to nominate you. The deadline for nominations is Nov. 22. 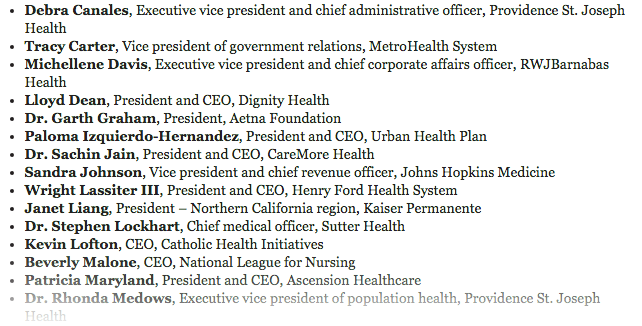 We have no say in choosing the honorees – the editors at Modern Healthcare choose the winners with no input from us. But we’d like that decision to be a difficult one, and it could be if you’re included. Click here for the link to nominations. The doors are open, and we welcome your participation! Furst Group and NuBrick Partners are proud to sponsor the Top 25 Minority Executives in Healthcare, the awards program created by Modern Healthcare. This is our 10th year of sponsoring the program, which culminates in an awards gala on July 18 in Chicago. Please click here to read our interviews with previous honorees in the two Top 25 awards programs promoting diversity. 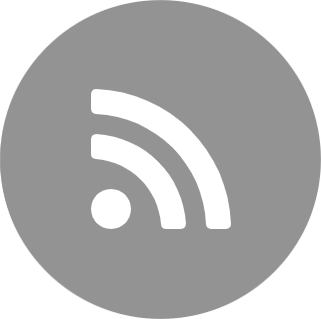 Click here to see the entire list and find articles and other resources. 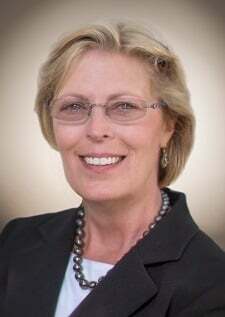 Weeks after announcing she was stepping down from her post as CEO of the KentuckyOne Health system, Brinkley said she was looking forward to some R&R before she returned to advise new interim chief executive Chuck Neumann for a couple months. The end result was that St. Joseph and Jewish Hospital merged into KentuckyOne, which operated University Hospital until this year, when university administrators said they wanted to reclaim the reins. While KentuckyOne is in talks to divest Jewish Hospital and other Louisville assets, Brinkley has some advice for her fellow executives as the industry endures a volatile time. And, despite industry initiatives to improve the numbers of diverse executives in the leadership ranks, she believes the climate also is getting tougher on that front. Corporate life was far from Brinkley’s thoughts growing up in a small Georgia town. A physician would provide yearly immunizations for children, but Brinkley never had a physical until she went off to college. She was raised by her grandmother, a teacher, who decided that Brinkley should become a nurse. In time, she came around. She earned bachelor’s and master’s degrees in nursing at DePaul University and ascended through the ranks. Health systems are increasingly looking to clinicians to lead organizations as well as medical groups, and Brinkley says her background has been a profound asset for her. But the transition isn’t always as easy as some clinicians think it will be, she warns. In the same way, she says, it can sometimes be difficult to separate the politics of the day from the healthcare needs of patients. Ruth Brinkley’s first and most powerful role model was her grandmother, who raised her from an infant. In a time when segregation still plagued the South, and when women were sometimes treated with less than respect, Brinkley’s grandmother taught her many leadership lessons, foremost of which was courage. Although she was a teacher, her husband was a farmer. When Brinkley’s grandfather died, her grandmother could have lost the farm – the crop had been planted but the seed and supplies usually weren’t paid back to the store until the harvest came in. Brinkley took much of the wisdom she learned from her grandmother and turned it into a children’s book called Grandma Said. 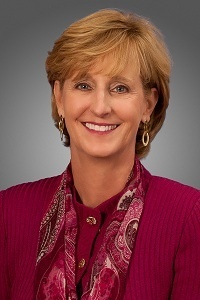 Even though Premier Inc. is one the largest and most successful companies in healthcare, focusing on performance improvement, its CEO, Susan DeVore, has personal as well as professional reasons for seeking to transform the healthcare industry. Her mother died of hospital-acquired sepsis, and her grandson had a major health scare in dealing with a severe hip infection that appeared during a hospitalization. She says her family is far from unique in that regard. 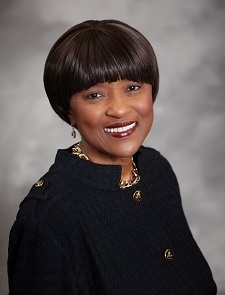 The experiences have left her determined to make a difference in the quality and safety at America’s health institutions, although she maintains that we nonetheless have “tremendous healthcare” in this country. While there is much uncertainty and confusion over the future of healthcare, DeVore says she doesn’t think government is well-suited to steer the changes that are needed; they have to come from within the system. 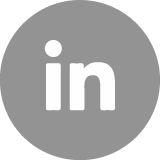 And Premier, which works with more than 3,700 hospitals across the country, handling everything from data analytics to national collaboratives to group purchasing, hopes to accelerate the pace of change in the industry. That footprint is growing. Premier recently purchased Lincare’s specialty pharma business and also bought two continuum-of-care companies. It has expanded its collaboration with pharmaceutical giant Merck on chronic care and also has launched a partnership with the American Society of Anesthesiologists to test methods to tackle the opioid epidemic. They’ll work to address post-operative pain management in a number of Premier-affiliated hospitals. The awards that Premier has garnered don’t exist in a lot of other places either. It’s a past winner of the Malcolm Baldrige National Quality Award and, for the past 10 years running, has been named one of the world’s Most Ethical Companies by the Ethisphere Institute. While Premier has flourished under DeVore’s leadership, she’s nonchalant about her own achievements. During talks with college students (and with her Premier staff as well), she is known to ask them what their superpower is, with the notion that passion unlocks stellar work – and superpowers working together in a team lead to great innovation. But ask her about her own superpower, and there’s nothing flashy about her answer. With healthcare’s convoluted issues looking like a damaged Rubik’s cube, Premier’s healthcare members are probably glad she’s on the case. In an interview with Christine Candio, President and CEO of St. Luke's Hospital, the former ACHE chair talked with us about the independent course that St. Luke's has chosen to maintain. According to Candio, being independent keeps the organization flexible, which she highlighted with a reference to a nostalgic, beloved TV duo. Candio says that it's important to reflect on these questions as you assess the value of remaining independent. Find out more about Candio's leadership philosophies in the full article. The career trajectory for Sally Hurt-Deitch was set early – so it’s no surprise to see her as the Market CEO for The Hospitals of Providence, the Tenet Health system that dominates the El Paso market. At her first job, fresh from earning her bachelor’s degree in nursing, Hurt-Deitch’s boss was close to retirement. So, on top of learning endoscopy and the operating room, and in addition to learning instrumentation and learning how to circulate, her supervisor put her to work on a host of other duties. “She would come to me and say, ‘Sally, you’re young. You know this stuff. You just graduated from college. 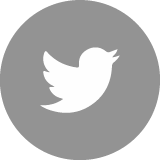 Go and do this for me,’ ” Hurt-Deitch remembers. Thus, by the end of her first year, in addition to doing cases and being a clinical nurse, Hurt-Deitch got a crash course in how to run every aspect of a department. An amazing story, yes? It gets better. The CEO called her into his office. Hurt-Deitch sailed through the tryout. She became the assistant chief nursing office two years later and, by the age of 27, she was the CNO. 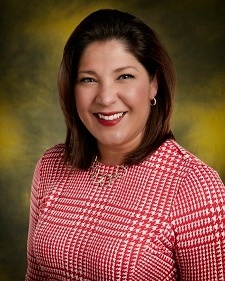 Hurt-Deitch was born and raised in the El Paso area and, except for a short period when she left to work in Oklahoma, has watched the region grow from a close-up vantage point. Healthcare is personal to her, an attitude that developed unconsciously when she was a child. At the age of 10, her mother nearly died from idiopathic thrombocytopenic purpura, an autoimmune disease in which the person’s body destroys its own platelets and thus, the ability for the blood to clot. Hurt-Deitch got to see her mother completely come back from the disease, and her mom has had a front-row view to see her daughter become one of the powerful Latino executives in the country. The El Paso region is unique in that it is still a border community, one whose economy is still very much based on homeownership as opposed to another economic driver. But Tenet itself has invested more than $1 billion into El Paso in the last 10 years, and Hurt-Deitch says the county has a consumer mindset to healthcare that is no different than the rest of the U.S.
As the Market CEO, Hurt-Deitch oversees the CEOs who lead the three Providence hospitals and one micro-hospital. And, like her early years in healthcare, she utilizes some unorthodox ideas to develop her team. In doing so, Hurt-Deitch is infusing her leadership team with the same type of liberty she experienced as a rising star in her 20s. Her years in El Paso, a predominantly Hispanic region, and her experiences as a healthcare executive gave her plenty of points to ponder. 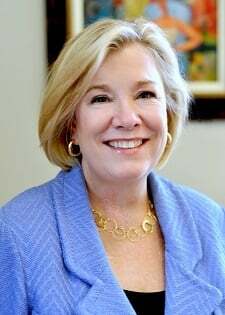 A commitment to diversity usually starts at the top of an organization, and Aetna President Karen Lynch is pleased that her employer is routinely recognized for the fact that its board is 40 percent female. But she knows there is more to be done. “If you look at the studies that have been published, 73 percent of medical and health services managers in the U.S. are women, but only 4 percent of healthcare CEOs are women. So, clearly, we have some growth to move forward on,” she says. But her thinking goes beyond gender diversity. Make no mistake, though – Lynch is “quite proud” to be the first female president of Aetna. Healthcare executives often talk about the importance of mentors and sponsors in their career. Lynch points to one from her childhood as a foundation for success in life – the aunt who raised Lynch and her three siblings after Lynch’s mom committed suicide. Lynch was 12 at the time. When Lynch was in her 20s, her aunt died from emphysema and breast and lung cancer, the result of heavy cigarette smoking. Nonetheless, her positive impact on Lynch had already been formed. Her influence is evident in Lynch’s career arc. And it was, in part, her aunt’s illness that led her ultimately to a career in healthcare after a stint as an auditor for Ernst + Young. Lynch leads by example in that vein. She is a lifelong runner, although she has added spinning to her regimen to ease the pounding on her knees. Lynch says her training at Ernst + Young prepared her for leadership in two ways. She also learned how to take opportunities as they emerged, she says. Lynch and her organization have had to deal with a lot of uncertainty over the past year as the potential merger of Aetna and Humana fell through. The experience, however, hasn’t altered the company’s strategy, she says. 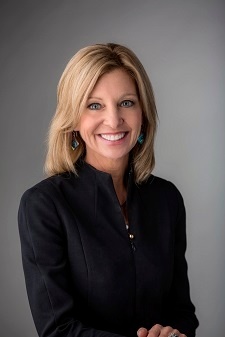 “Humana would have helped to accelerate our strategy, but that strategy remains the same – to be consumer-focused, transforming relationships with providers, focusing on the local community and building the next generation of talent,” she says. Lynch says health insurers in general need to own their mistakes, but adds that payers don’t promote themselves enough in regard to the positive outcomes they quietly foster among their members. She recounts the story of one female college student she worked with who was anorexic. 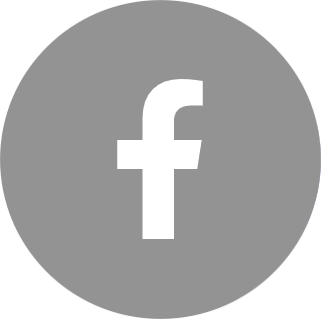 Lynch’s organization helped the young woman get into a treatment facility. She got help, returned to school and graduated from college. She signed up with Teach for America and has gone on to have a successful career. “Those are the kinds of things we do that no one knows we do,” Lynch says. Aetna President Karen Lynch has always been quite active in charity work. That stems, in part, from her aunt who raised Lynch and her three siblings after their mother committed suicide. “My aunt talked about and instilled in us the importance of giving back,” Lynch says today. She says she sees the importance of that in her work every day. Her mother informs that passion as well. Lynch found a strong partner in that endeavor in her husband Kevin, who founded the Quell Foundation two years ago to eradicate the stigma of mental health disorders. This year, the Quell Foundation will provide $200,000 in scholarships to young people across the country. It’s one more motivation Lynch cites for doing what she does in her career. Sooner or later, anyone who spends time around Sue Schick is going to hear her philosophy for life: Pay it forward. Throughout a long and successful career in healthcare, the chief growth officer for UnitedHealthcare Community and State has lived by that mantra, and its powerful, catalytic effect on her and those around her can be traced back to a pivotal experience she had as an undergrad at Randolph-Macon College in Ashland, Va.
Three weeks later, Schick was back home and about to start work as an administrative assistant. She was in the kitchen and her mom handed her the mail, which included a letter from Randolph-Macon. Today, Schick is a Randolph-Macon trustee and is chair of the student affairs committee. Schick’s community involvement extends to a number of non-profit organizations, including the March of Dimes—her son was born without ears and hearing that was marred by blocked canals. The March of Dimes came alongside her family through a long process of corrective and reconstructive surgeries and, today, her son has near-normal hearing and ears. She has also committed much time and energy to the Susan G. Komen breast-cancer organization and the Juvenile Diabetes Research Foundation. On the business and governmental side, she served as Chair for the Pennsylvania Commission for Women, championing female leaders. For her part, Schick says she has felt supported throughout her career at UnitedHealthcare, where she leads the growth of the Medicaid business. Schick says she knew next to nothing about Medicaid, but learned a lot about it over the next three years alongside her regular duties. The learning curve has continued for her the last couple years – she was part of a select group of healthcare leaders chosen to participate in a new master’s program at Dartmouth College about the future of healthcare. The group included a payer leader (Schick), plus health-system executives, surgeons and health-policy experts learning from each other. She graduated last month with a master’s in healthcare delivery science. The bonds she developed with her fellow leaders have been vital too, she adds. Now that she’s back from the Ivy League, rest assured she’ll use any opportunity to pay forward that experience as well. When Sue Schick’s son was 7, he changed her outlook on business—and life—forever. Her son is an adult now, but Schick often shares the story to drive home a point larger than parental involvement. Schick was home one night helping her son with his homework. In between problems, she’d pause to check emails and other work-related matters on her handheld device. At the end of the night—one that she thought was successful and productive—she asked her son what he he’d learned that evening. His answer wasn’t about arithmetic. “I learned you love your Blackberry,” he said. The answer, understandably, cut Schick to the quick, and changed her behavior. But she saw how much a relationship or even a conversation could be derailed by a lack of presence or mindfulness. “To me, that lesson applies in other areas of my life as well. What happens when you have a busy mind when you are meeting with someone?” she says. “What I have found since then is that, if I am fully present and engaged, then my relationships are stronger, I’m more productive, and it reduces my stress. I think it leads to a more fulfilling life. Believe me, I am not declaring victory on this – we are all pulled in so many different directions.